Why Camping Trek Nepal is most popular trekking, especially in wilderness areas? The camping trek Nepal is mostly organize into the wilderness areas in the Himalayas. They are away from the most demanding trek routes and lodges. We arrange a camping trek to supply in both natural and cultural aspect. You can notice the mystical Himalayan scenery where people are surviving by growing their local food, untouched by modern civilization. They staying happily with their own distinctive culture and traditions that might be very unique things to observe for trekkers. So the camping trekking in Nepal is only an option to get an amazing experience and touch the locals. Actually, these treks give you a very special experience of the real Nepal and also this help to develop these poor areas financially. Gokyo Treks & Expedition has decades of experience arranging a Tented camp trek in Nepal. 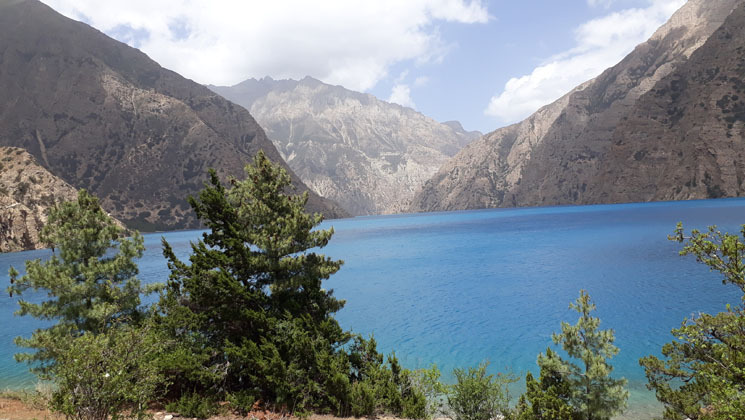 On your tent syle trekking, all camping gears along with the food and employ the local porters to carry your equipment and Sherpa to set up tents. An experienced with well- trained cook will prepare the delicious ranges most vegetarians meal to serve with hot drinks. So, you carry your small daypack with the most valuable things like camera, money, and passports. There are many treks in Nepal you need to do as a camping trek. They are Langtang glacier safari trek, Tilman Pass trek, Ganesh Himal eco trek, Panch Pokhari Bhairav kunda trek, sirahichuli to chitwan trek, chepang village excursion, paldor trek, khopra ride trek, Rupinala with larke la pass trek, Nar phu trek, Tilicho lake trek, Terila pass trek, Saribung la pass trek, lower Dolpo trek, upper Dolpo trek, Dolpo circuit trek, dolpo to Rara lake trek….etc are most demanding in terms of visitors. The best time to visit Nepal is either on Spring (March to May) or Autumn (October to December) in this time the weather is very clear. So you can see the pristine Himalayas and beautiful landscapes. Take a review about Tent Trek in Nepal on Tripadvisor.